Showing recent results 2236 - 2250 of 4364 products found. 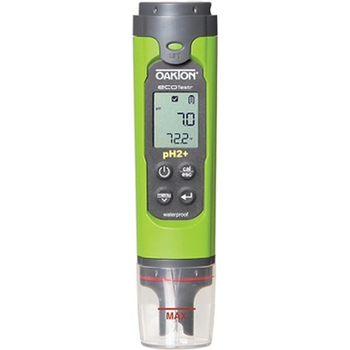 This new addition to the Oakton EcoTestr product line features updates to make measuring water quality easier and faster. The display is larger with a better viewing angle, has indicators for battery life, readiness, and calibration, and shows both the parameter and temperature readings at the same time. To enhance field use, the cap was redesigned to be leakproof and can be attached to the top of the meter when not being usedno more lost caps! The cap features a fill line, so you know how much sample you need for an accurate reading when using the cap as a sample cup. 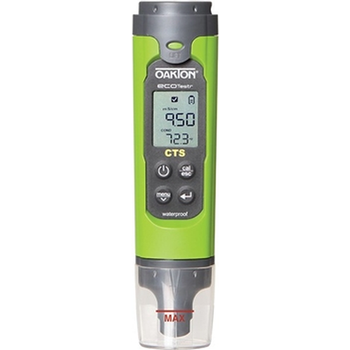 It is also wider, providing a base to keep the meter upright for hands-free measurements. UTEC 430 - Radian Research, Inc. 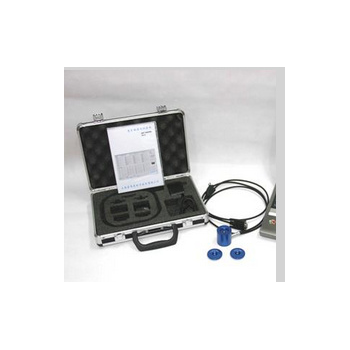 The Model 430 is the first Ultra-Compact Portable Phantom Load Test Kit to support both the Radian Dytronic (RD) and the installed base of Radian Metronic (RM) reference standards. 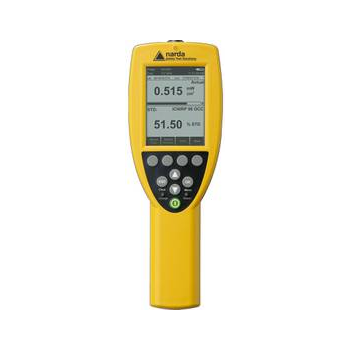 The ability to support both reference standards makes the 430 the ideal budgetary solution for on-site meter testing. 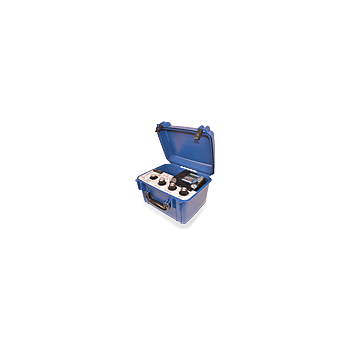 Do not let its compactness fool you, the 430 has three 30 Amp current output elements for performing single phase or three phase meter testing. Additionally, when each element is combined using the optional open link cable harness, it can source up to 90 Amps. 824 - Larson Davis, Inc.
585B - Red Phase Instruments Australia Pty Ltd. 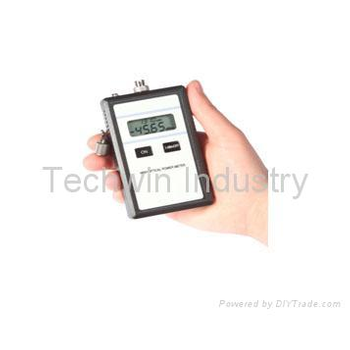 The Model 585B is designed as a low cost, fully automatic single phase meter tester. A microprocessor is incorporated in this tester to conduct the test sequence and calculate results. Test results are displayed on a back-lit LCD display or hard copy of the tests can be printed out automatically when required. 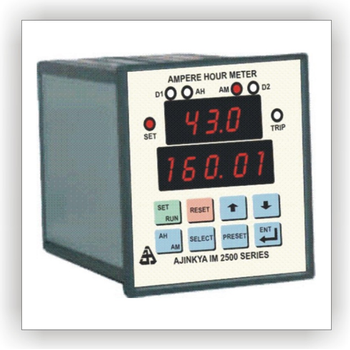 IM2509 model ampere hour meter is provided with three control relay outputs to facilitate addition of three chemicals. 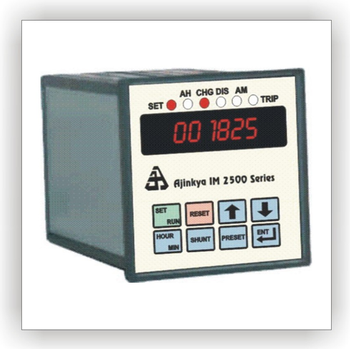 It should be noted that this feature is improvement over the IM2503 model which offers two control relay outputs to control a addition of two chemicals.The other features of IM2502C model are retained in this model. IM2505 is a charge discharge type Ampere Hour Meter which is useful for tracking / monitoring battery AH in circuit.These are used in applications related to submarine and telecom or in these sectors where battery back ups are used and battery charge is to be monitored to switch on and off charger and load to avoid excessive charging as well as deep discharge. 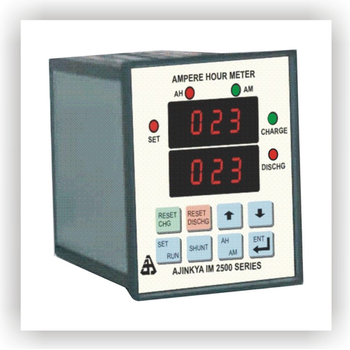 IM2512 is a 4 digit Ampere hour meter with a current limit relay. 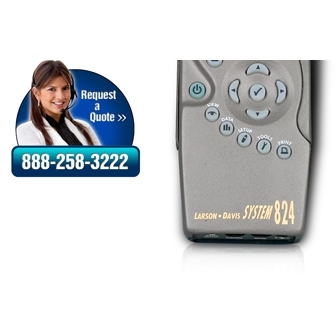 It has all the features of standard IM2501 C model, in addition a current set point. Typically, while in the charging process, when a battery is sufficiently charged, the current flow drops to a lower level. At this juncture, the battery must be disconnected from the source of power. 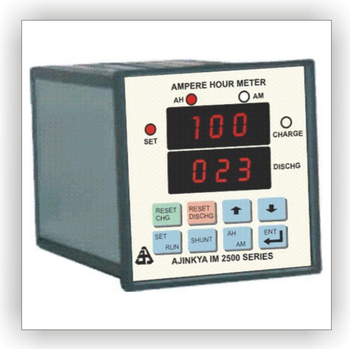 IM2507 is a charge discharge type Ampere Hour meter which has two independent 4 digit displays for separate charge and discharge counting. While one display counts the charge through the circuit, the other counts the discharge.These are useful in battery life cycle testing, battery monitoring applications. FPD manufacturing processesThe HE-960HC measures conductivity, which forms the basis for parameters in chemical and waste water management. Its dual calculation circuits and software, combined with carbon sensors, enable measurements ranging without switching. 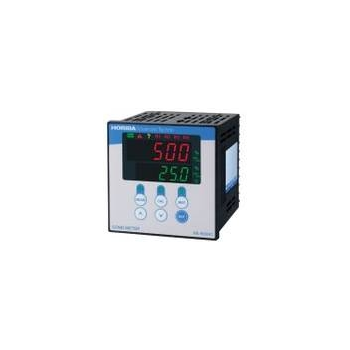 The HE-960HC can be used as a process concentration meter, and also to monitor changes in the concentration of specified chemicals. 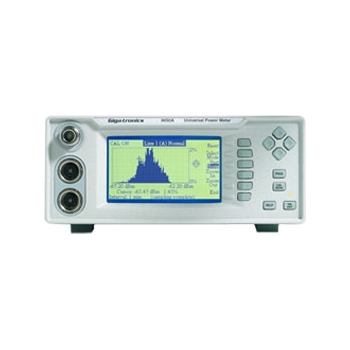 Designed for use with bolometer elements to measure high frequency or microwave power from 10W to 30 mW. 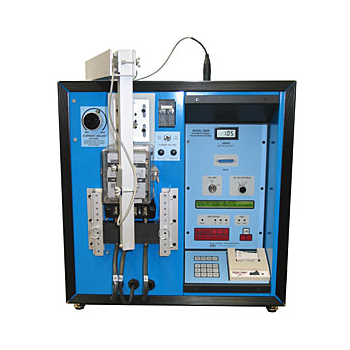 Model 1806 also functions as a standard for the calibration of bolometers mounts, detectors, RF voltmeters, and for precision insertion loss measurements when used with the TEGAM System IIA, automatic power meter calibration system. 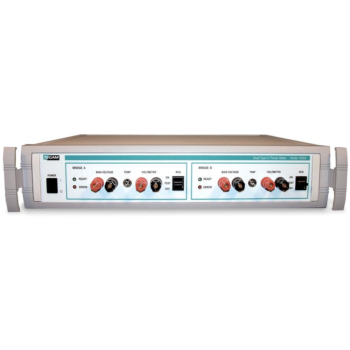 The Spanawave/Giga-tronics 8652A Dual Channel Universal Power Meter has the extensive measurement capabilities and features you need to test today's sophisticated communications systems faster, easier and more accurately. 100 kHz to 40 GHz Frequency Range, depending on sensor. -70 to +47 dBm Power Range, depending on sensor. TD1000 - Wuhan Sunma Technologies Co., Ltd.